Have you ever heard anyone say that green is the new black? 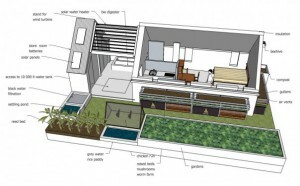 Going green is a trend that has been sweeping the nation for quite some time now and it has no intention of stopping. And real estate is slowly, but surely hopping on board. 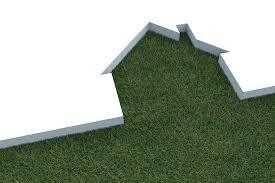 Recently more homebuyers have been seeking out “green homes”. And according to the U.S. Chamber of Commerce Small Business Nation, going green means taking steps to “conserve energy, reduce pollution and save money”, taken from Livestrong.com. Green building’s share of the home remodeling market rose to 25 percent in 2013 from 17 percent in 2011, according to Porch and numbers from the National Association of Home Builders. Wouldn’t It Be Nice to Pinpoint Green Builders for your Green Home Buyers? As part of the partnership, Porch will produce profiles for all of Home Innovation’s National Green Building Standard (NGBS) Green Partner professionals. The profiles will be tagged with special badges and populated with professionals’ NGBS Green Certified home projects. This way potential customers will be able to get a firsthand look at builder’s work without committing to anything right away. This is to insure potential customers that they are indeed receiving a green product. According to CEO Matt Ehrlichman, Porch claims to provide data on 90 million home projects and 1.5 million professionals. The startup has obtained that data mostly through private partnerships it cultivated for a year before officially launching three months ago. With all the data Porch has collected as well as the verification of its products, Porch seems like the place to go to find certified green home builders.